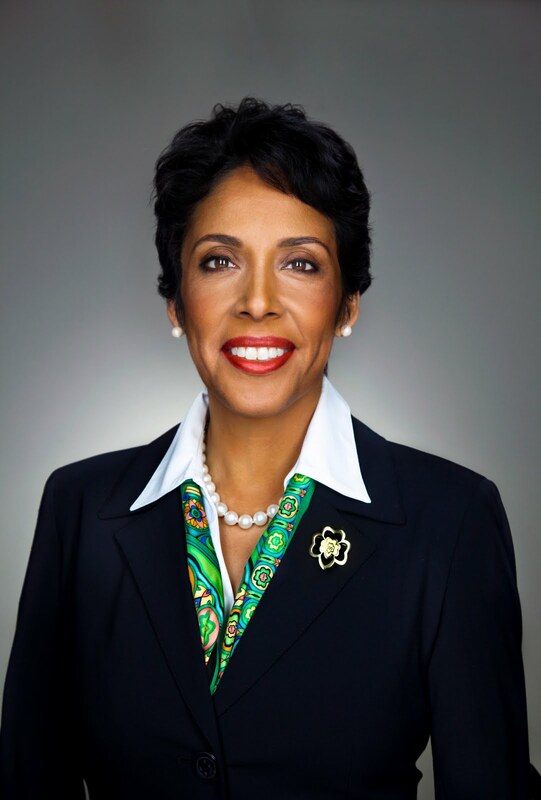 Girl Scouts of the USA Chief Executive Officer Anna Maria Chávez will be honored by the National Council of La Raza (NCLR) with its Graciela Olivarez La Raza Award at the organization’s annual convention in New Orleans in July. The Washington, D.C.-based National Council of La Raza is the largest Hispanic civil rights and advocacy organization in the United States. The award, named in honor of attorney Graciela Olivarez for her commitment to Hispanic women’s rights, is presented each year to an individual or organization that has made significant contributions in promoting the interests of Hispanic Americans. Olivarez was the first woman to graduate from the University of Notre Dame Law School and later became the highest-ranking Hispanic woman in President Jimmy Carter’s administration. Previous honorees include U.S. Ambassador Mari Carmen Aponte, Los Angeles Mayor Antonio Villaraigosa, and Maria Otero, undersecretary of state for democracy and global affairs. Chavez is the recipient of many awards. She is listed among The NonProfit Times’ Power & Influence Top 50, and the 100 Women Leaders in STEM (science, technology, engineering, and math) by STEMconnector. In 2012, she received the Chairman's Award from the U.S. Hispanic Chamber of Commerce, and earlier this year, the Mexican American Legal Defense and Education Fund honored her with its Excellence in Community Service Award. The 2013 NCLR conference, themed “Rise as One,” features a list of impressive speakers that was unveiled today, including legendary entertainer Rita Moreno, National Urban League President and CEO Marc Morial, W.K. Kellogg Foundation President and CEO Sterling Speirn, Telemundo news anchors José Díaz-Balart and María Celeste Arrarás, baseball great Minnie Minoso, and many more.